Now that my herb garden is in full swing it’s a snap to make this Chimichurri Sauce. Don’t be afraid to try it with chicken, pork or seafood. You really can’t go wrong with this sauce. It perks up anything it’s served with (Hint – try it with grilled veggies). Now that summer is here I’like to focus being healthy and that means eating less fat. This recipe proves that healthy doesn’t mean you have to give up flavor. Steak is an excellent source of protein; according to my trainers lean steak makes an excellent breakfast. I’ve not gotten to that point – yet. No matter, I’ll enjoy this for dinner then have the leftovers for breakfast or lunch, this makes a wonderful meal. Pat steak dry, season liberally with salt and pepper. Place the steak in place in a large, resalable plastic bag. Add 1 cup of the chimichurri sauce, seal bag and refrigerate the steak for at least 2 and up to 8 hours. Cover the remaining chimichurri sauce at room temperature. Bring Steak to room temperature at least 30 minutes. Preheat broiler. Remove the steak from the bag and brush off any excess marinade. Place the steak on a broiler pan and broil 4” from heat 5-7 minutes per side for medium rare (watch the steak closely, the steak should be well browned but not burnt). Place the steak on a cutting board, cover and let it rest for 10 minutes. 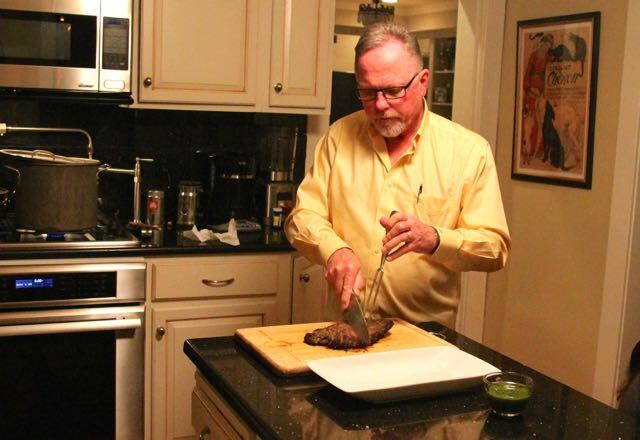 Holding a knife at a 45-degree angle, thinly slice steak. 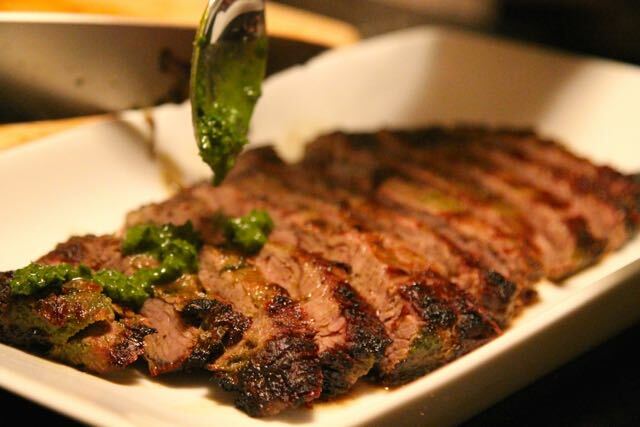 Serve with the remaining chimichurri sauce. *Feel free to substitute Skirt Steak, London Broil or any other lean steak but be careful to adjust the cooking time according to the steak thickness. ** Feel free to grill the steak if desired. Place the steak on a hot grill. Cook for 6 -7 minutes then flip the steak, rotating 45 degrees, and cook another 6 - 7 minutes. Turn the steak over and continue to cook until the steak is done to your liking. 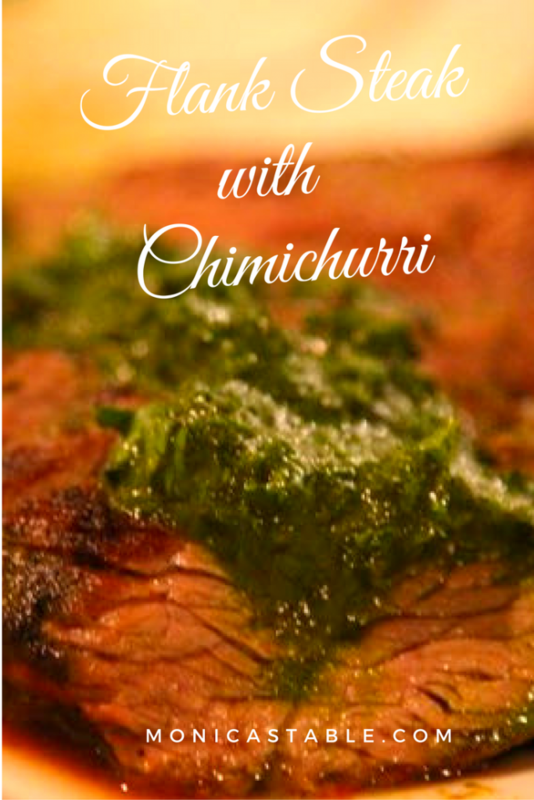 Love chimichurri – it’s definitely a favorite in our house! Looks absolutely delish! I love Chimichurri sauce! I’d have no trouble eating this winner for breakfast! 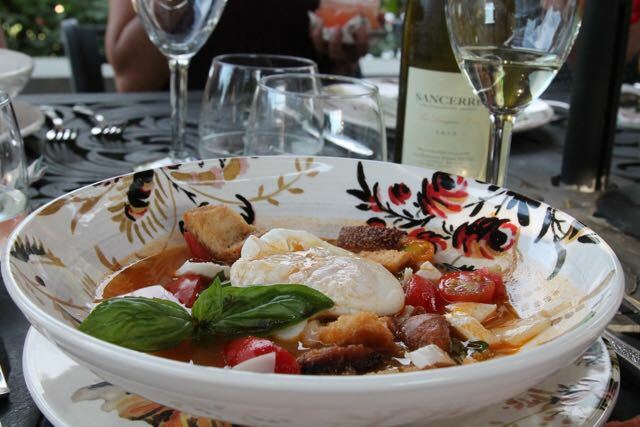 What a gorgeous dish!! I grew up eating flank steak. It was one of the cheapest cuts of meat. Now it’s pricey! But it still has amazing flavor that I love. 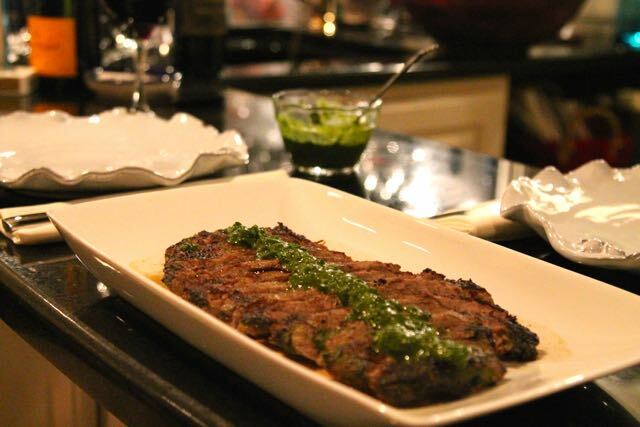 And this chimichurri sauce looks amazing, too. This looks delicious! 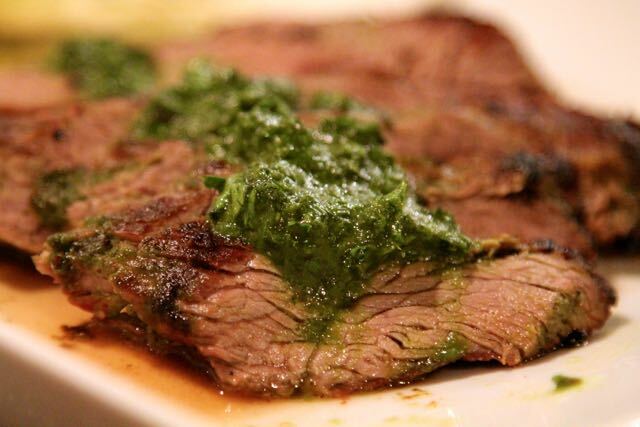 Chimichurri is such a great addition to steak. Flank steak is so good. Yours looks delicious. I am glad you shared the proper way to cut it – it is so important! Lovely Monica! I have a flank steak in the freezer so I know what I’m making for dinner! 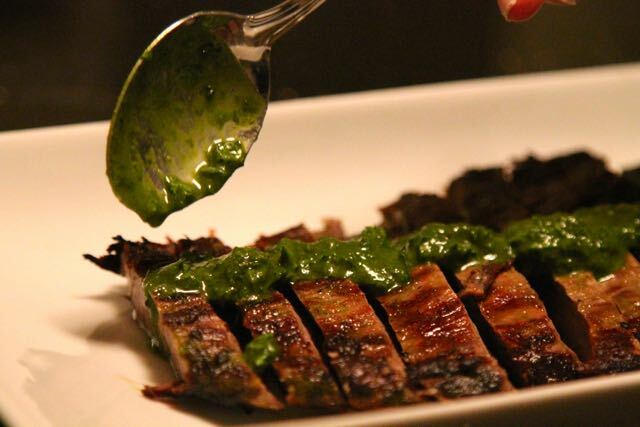 I absolutely love chimichurri and flank steak. Thank you for sharing this recipe. I’m making this ASAP! The secret is in the sauce. True statement for this dish.